Let's face it, there are only so many Christmas songs and then there are about a million variations of each one. Plenty of them are very slow and perfect for snuggling up by the fire under a blanket with hot cocoa and your sweetie by your side. But realistically we like to listen to Christmas music more often than the two nights a year we might actually do that! Here are my pics for Christmas songs that you can get up and dance to! 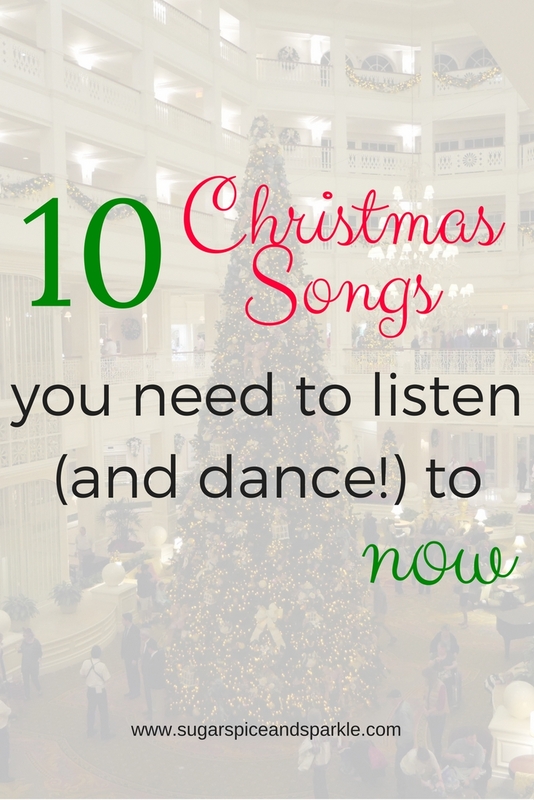 Because who doesn't need a little dance party every once and a while, especially during the holidays? Get my Spotify playlist with all of these songs! Try not to dance - I dare you :P By the way these are in no particular order, how could anyone possibly rank them?! If you're a 90's kid then this one just brings back the best memories! A classic brought into this century so all the kids of this decade can make awesome memories. It's the exact same as the original yet somehow different and equally as dance inducing! A real toe tapper! I would recommend all Pentatonix Christmas songs actually, though not all are as energetic as this one and the one above! The lyrics kill me! This one will have you dancing AND laughing! Another one that brings back childhood memories for me. If you haven't had any Aly and AJ in your life yet you are seriously missing out! A classic Glee matchup of Christmas proportions. I loved Glee for a solid two years but not really recently. The Christmas album from the show still makes an appearance each year though, it's quite good! Taylor Swift made a Christmas album a loooong time ago and I so wish she would make another! She has a Christmas themed birthday every year of her life but only 1 Christmas album? Something is wrong with that! Anyways this song is one of her originals and, as with all T. Swift originals, it is fabulous! I mean, do I really have to say anything about this one? Don't forget to check out my Spotify playlist to hear them all! What is your favorite Christmas song? Comment below. I'd love to add some of your favorites to my list!